Toray Plastics (America) Inc. (North Kingstown, RI) has introduced polyester (PE) films for use in gamma sterilization packaging applications. Lumirror GA10, GA25, and GA66 PET films, which are listed in the U.S. FDA’s Drug Master File, reportedly provide superior retention of tensile properties (tensile strength at break, Young’s modulus and elongation break) as well as optical properties for up to two years after initial radiation exposure. The irradiated GA films’ mechanical properties remain substantially intact, enabling the films to resist damage during storage or handling. Retention of optical properties ensures clear visibility of the packaged product. 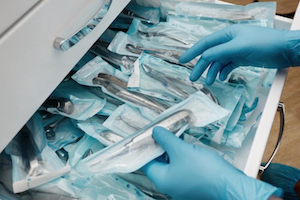 It also ensures that prolonged storage time does not have a detrimental effect on the packaged product, maintaining sterility and ensuring that the product has not been tampered with. Each GA film possesses a unique functionality: GA10 is printable, GA25 is heat sealable, and GA66 can be used as a mono web or in packaging laminations. All have thermal and dimensional stability. The applications include medical instruments, syringes, implants, catheters, IV sets, surgical gloves and gauze.